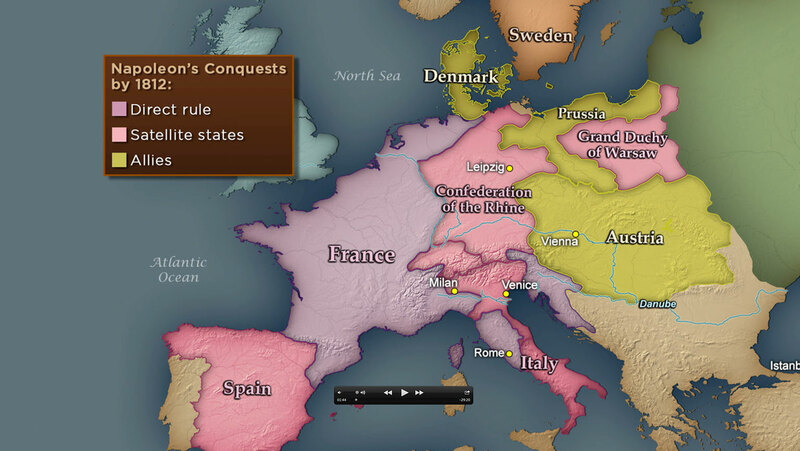 In this massive clash, a coalition of seven European powers united to oppose Napoleon. Trace the preliminary military actions culminating at Leipzig, where four armies finally converged on Napoleon’s forces. Follow the complex unfolding of the battle and the incident that transformed it into an outright disaster for the French.